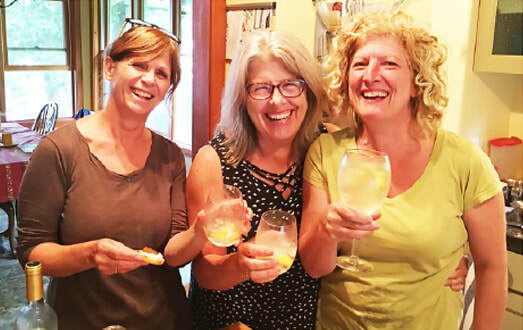 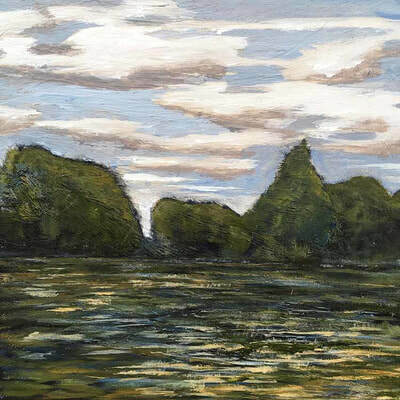 We three women have forged a friendship over a shared love of Bon Echo Rock, and Lake Mazinaw, in Eastern Ontario. 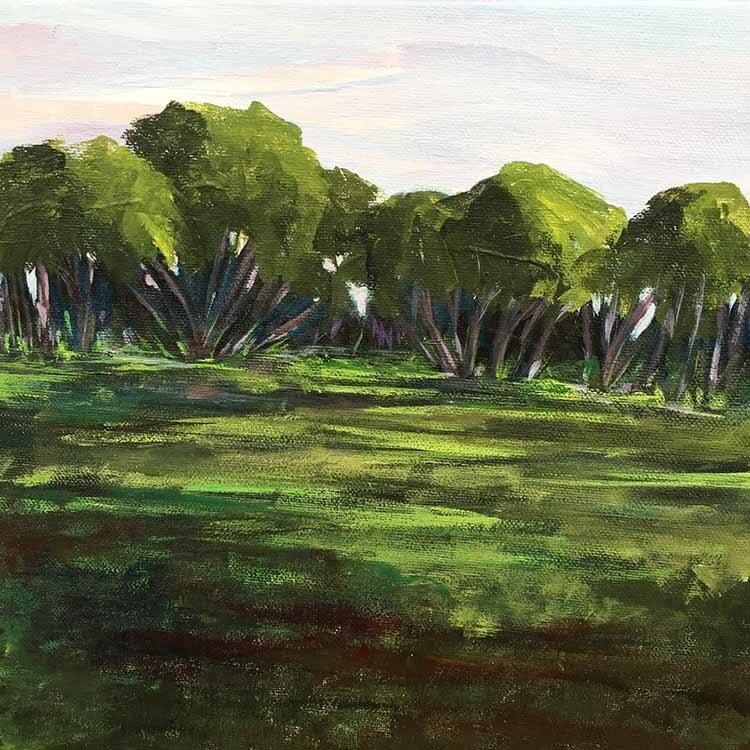 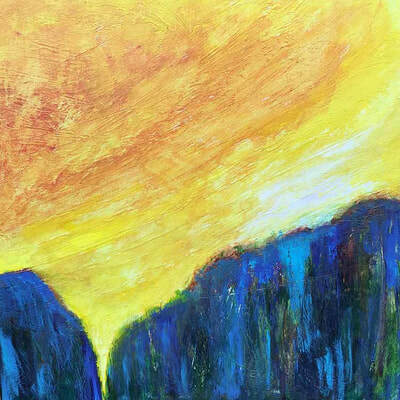 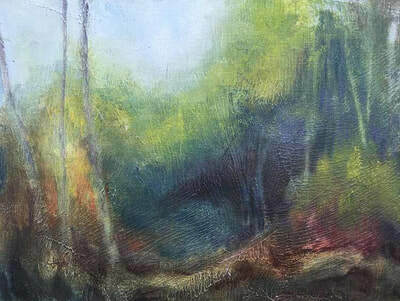 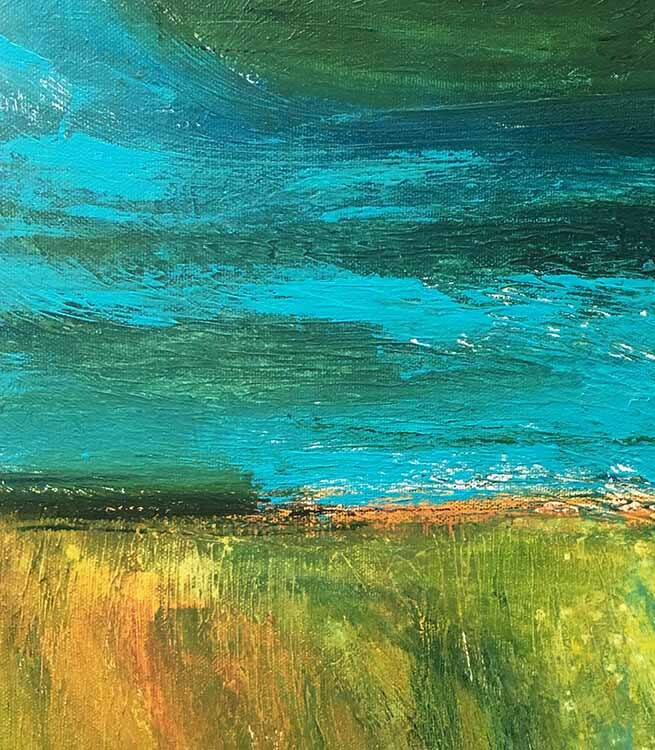 Together, our paintings speak to a mutual yearning to capture in paint, the magic of this and all other landscapes. 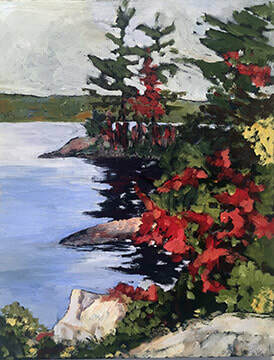 Collectively we share common ground, a friendship, painting and a love of all things Mazinaw, but we differ in the direction we take, our approach and style. Donna Andreychuk is a self taught artist who was born in rural Ontario. 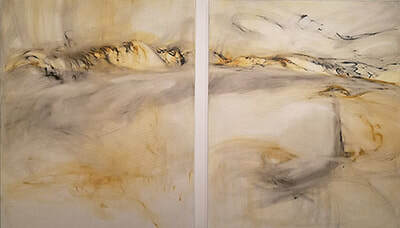 She has always had a passion for art. 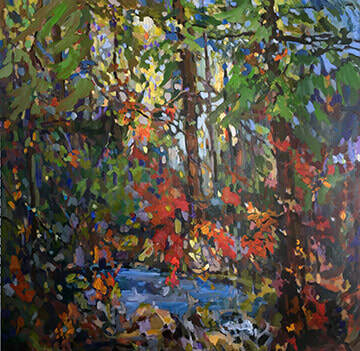 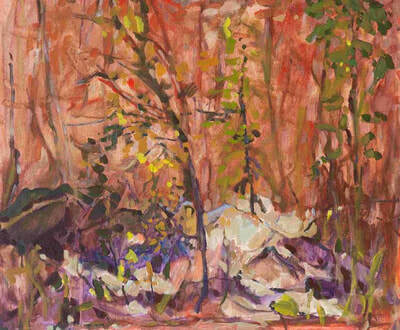 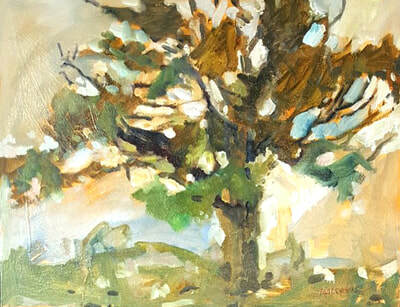 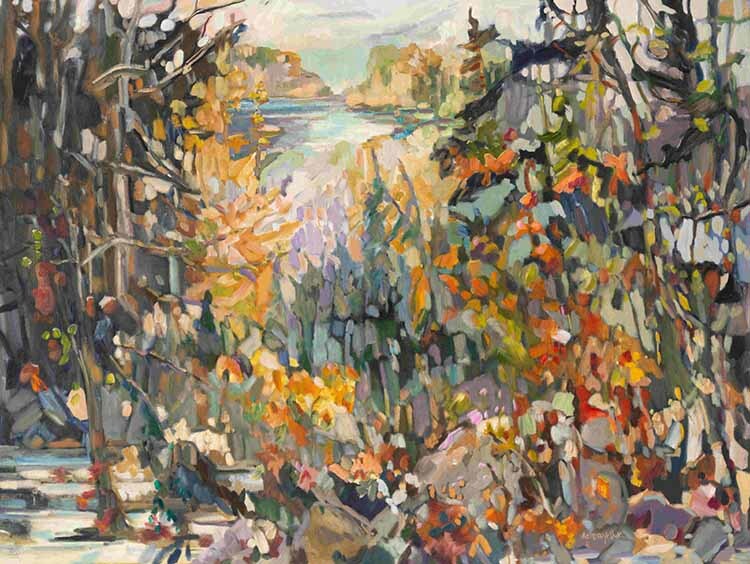 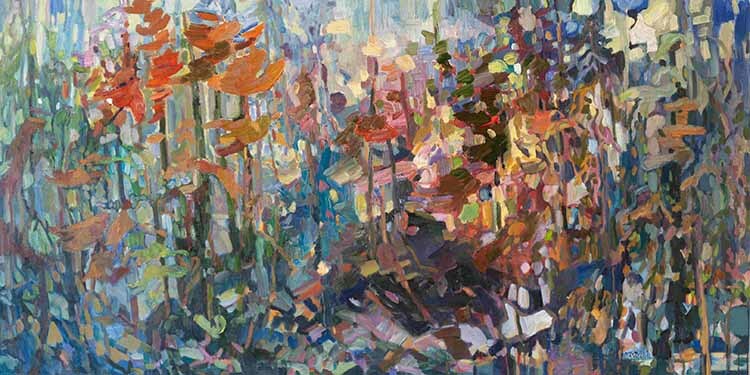 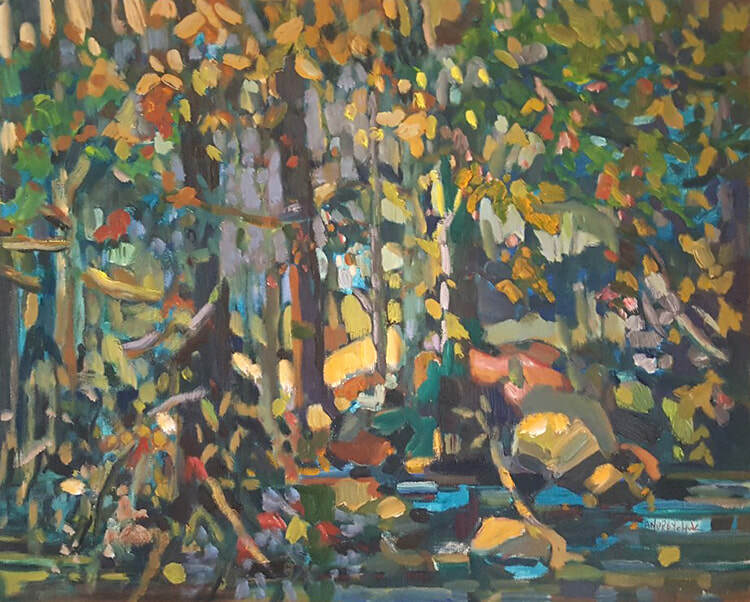 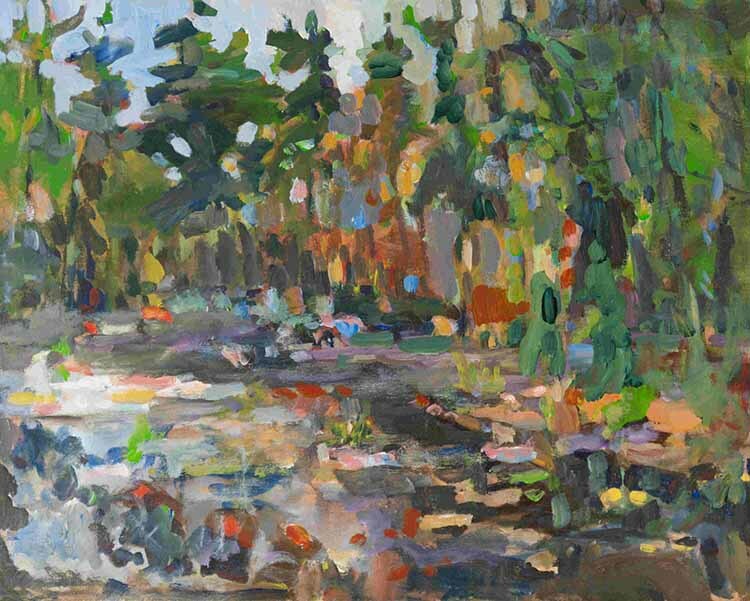 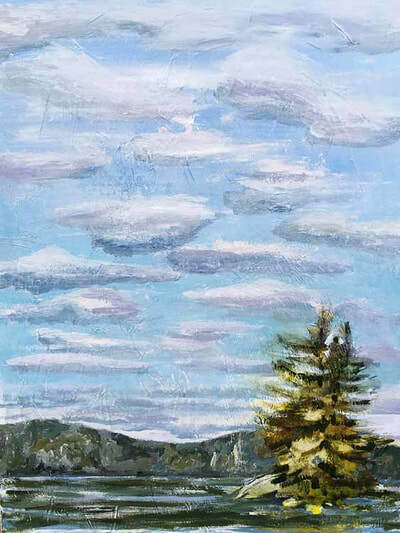 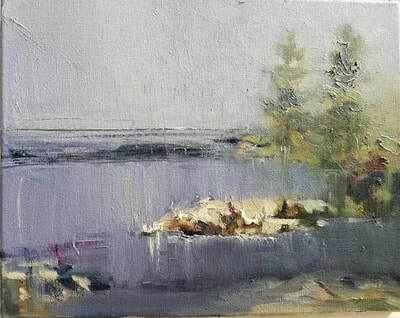 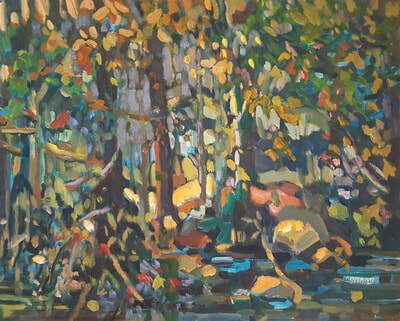 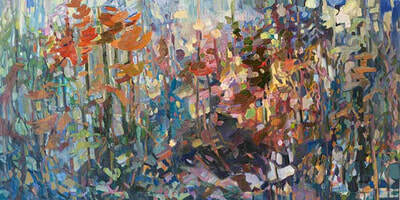 Donna started painting seriously in 1999 while living in Owen Sound, surrounded by the Georgian Bay landscape. 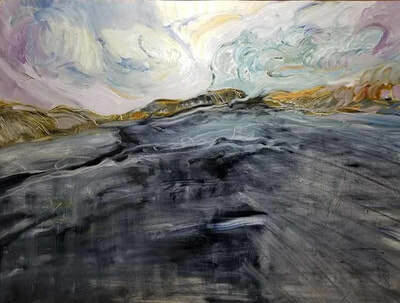 The subject itself is less important than expressing how the landscape feels to her. 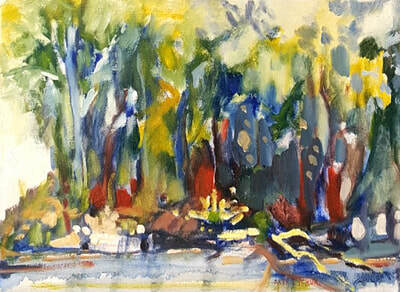 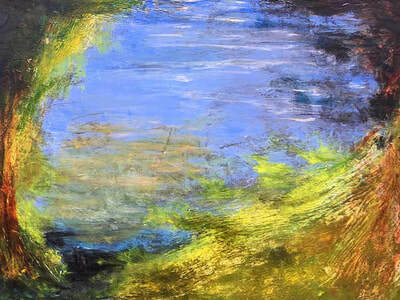 Donna would describe herself as a landscape inspired abstract expressionist. 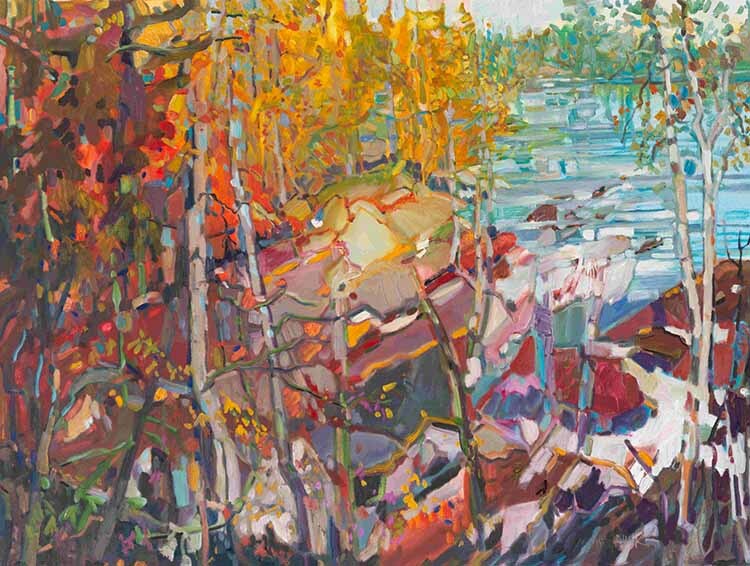 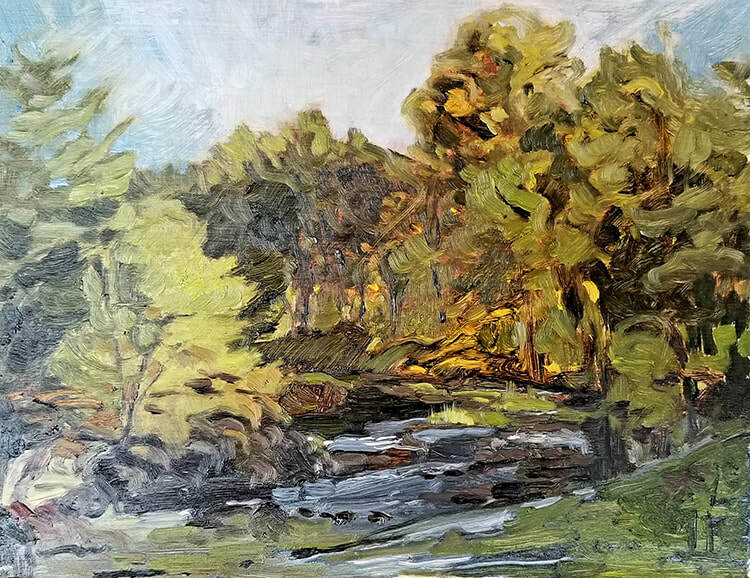 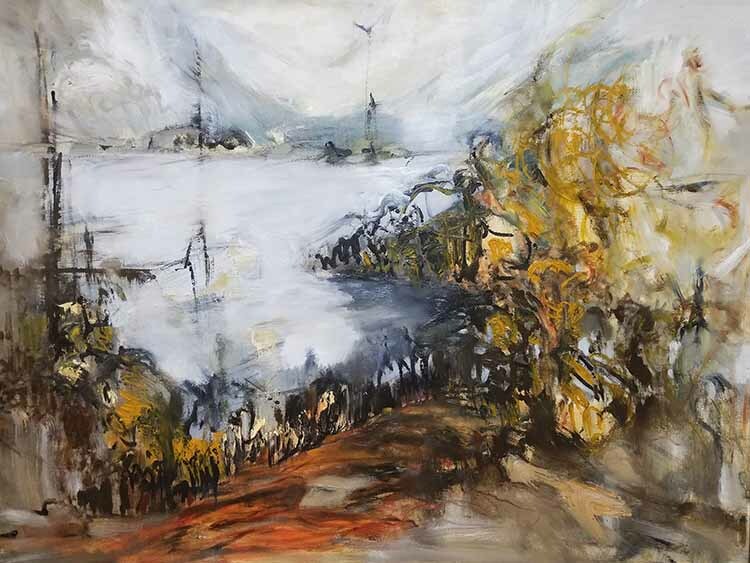 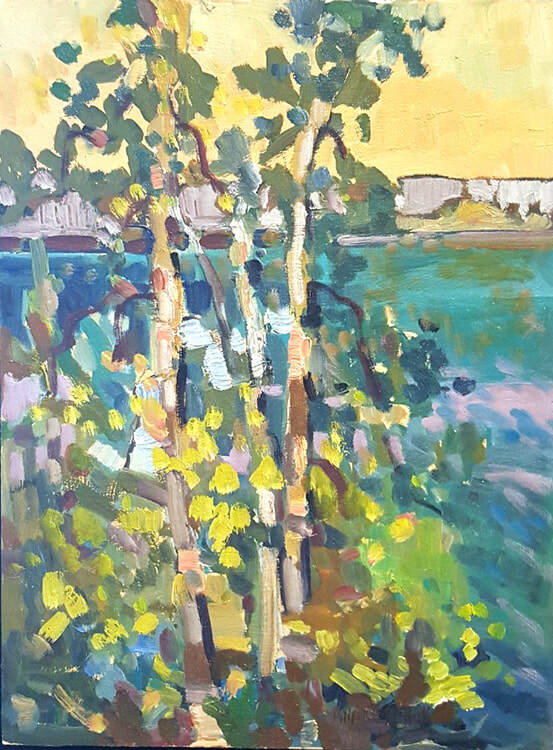 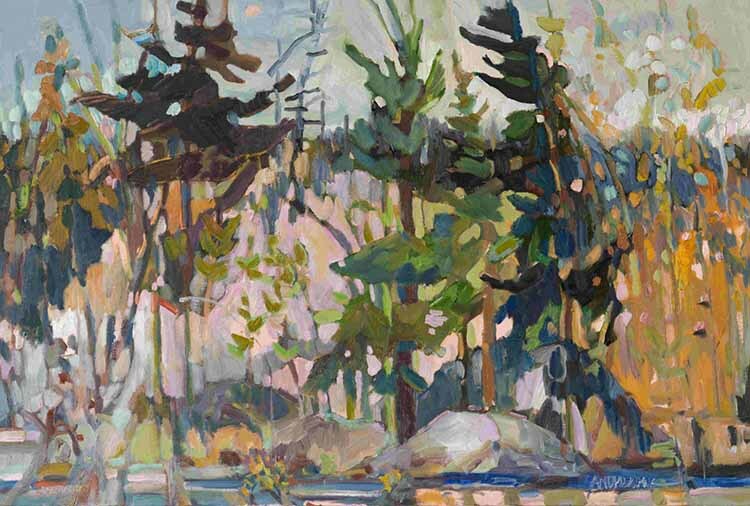 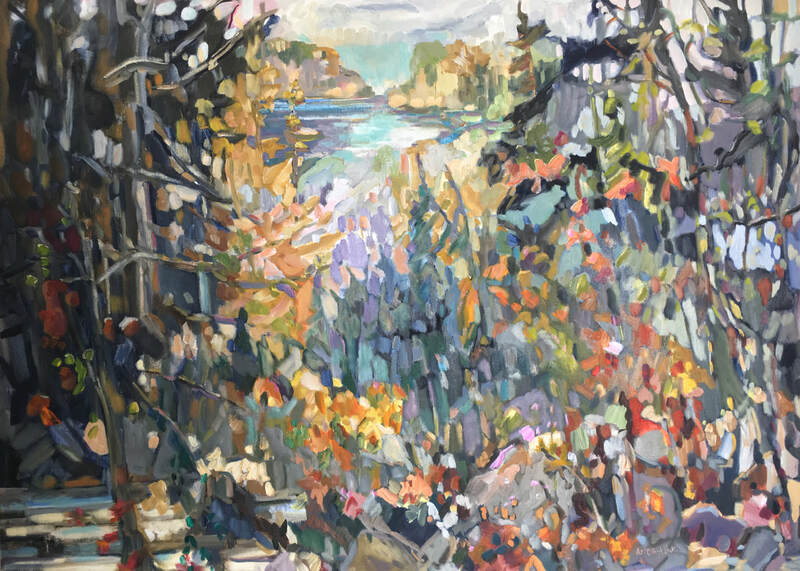 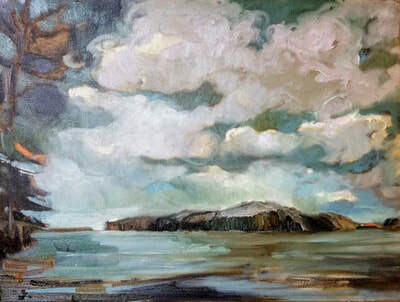 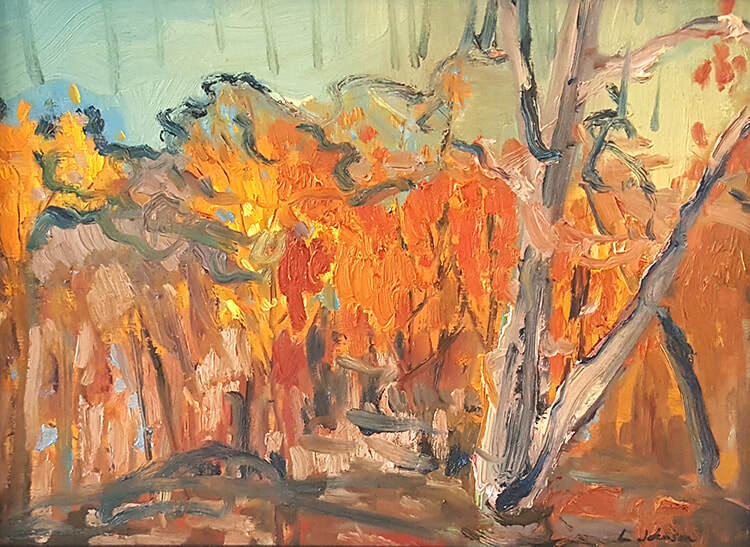 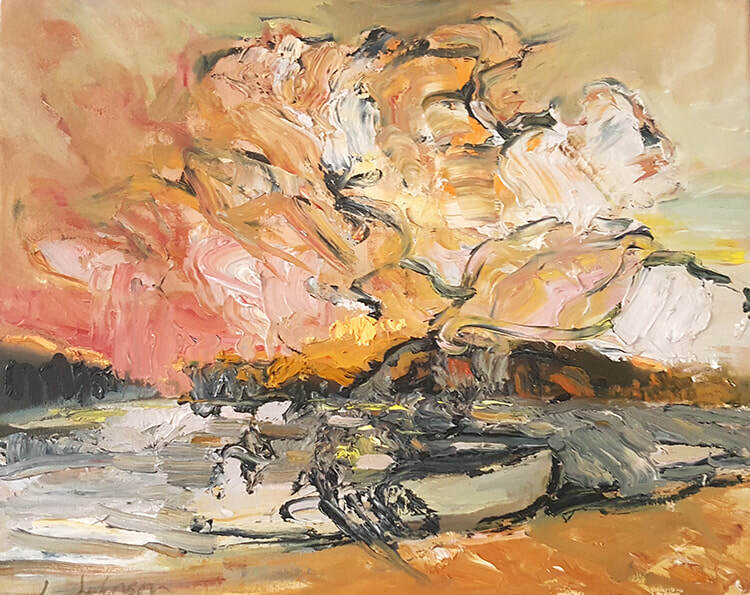 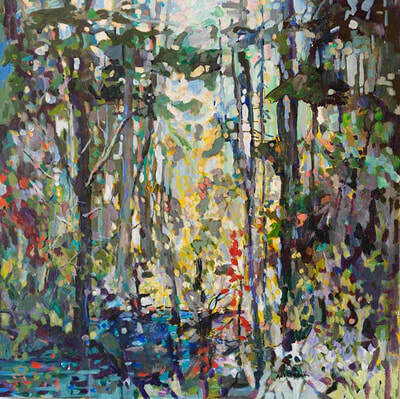 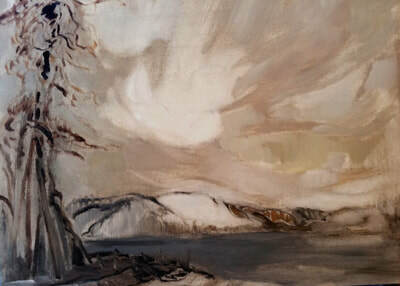 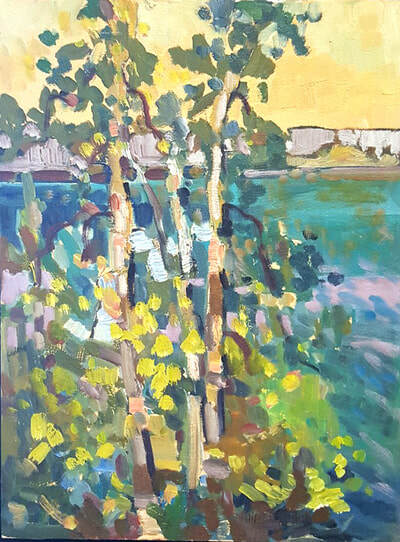 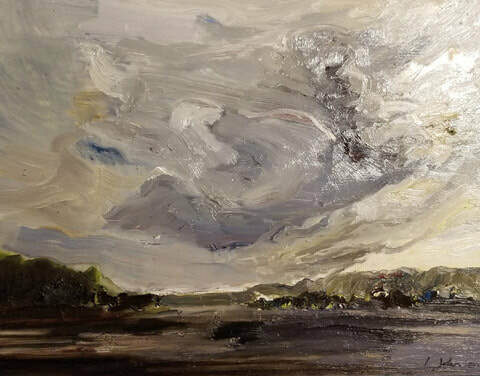 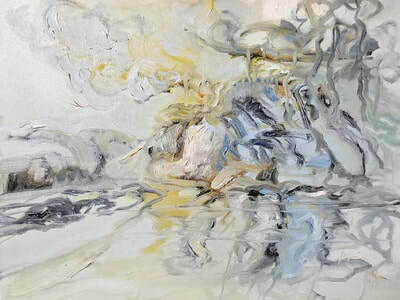 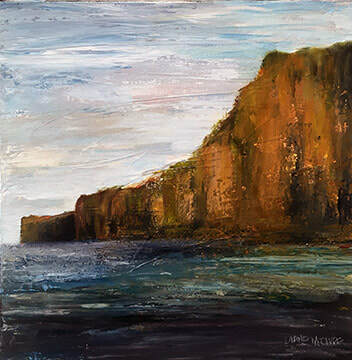 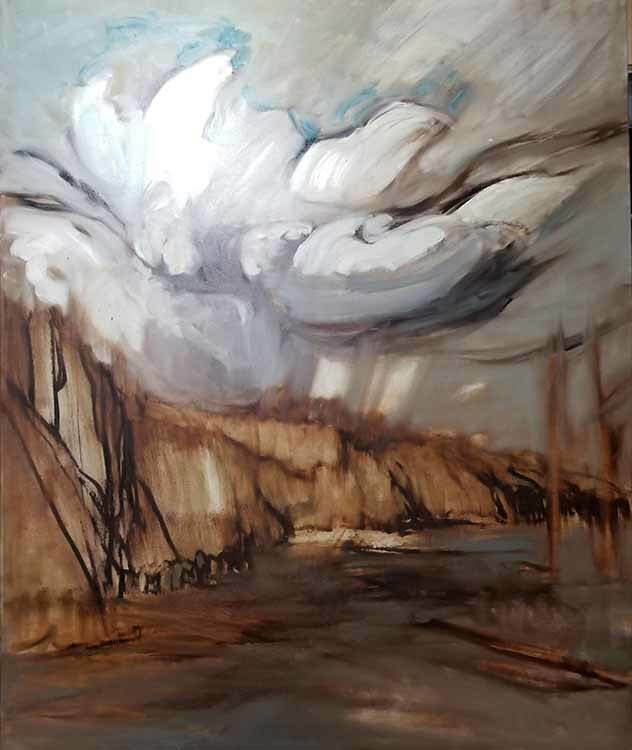 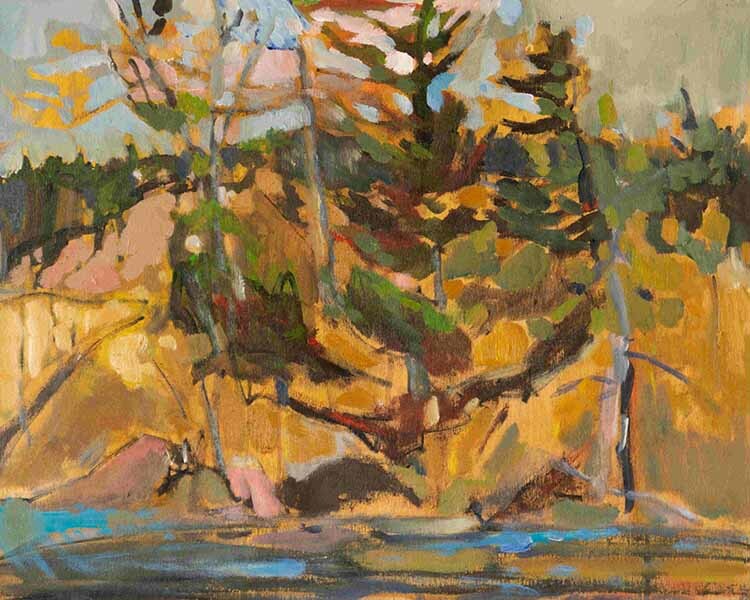 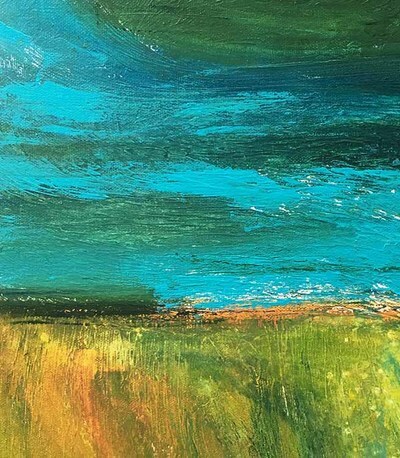 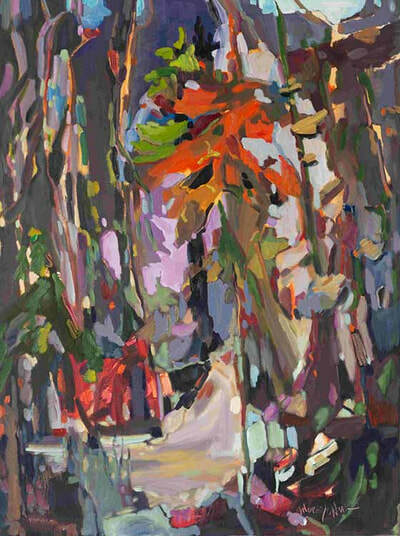 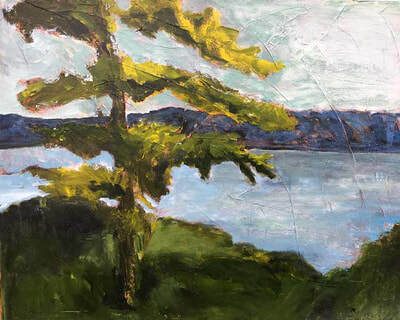 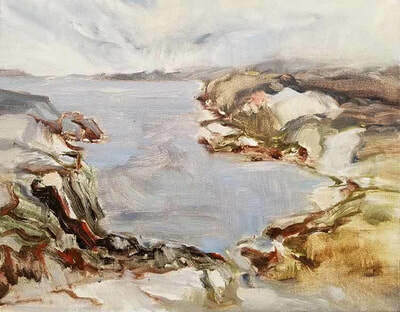 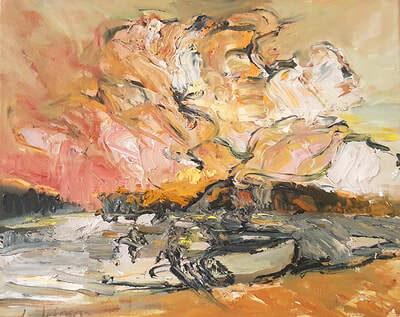 She has a romantic notion of herself exploring the Canadian landscape one province at a time with her paint box in hand and a palette full of juicy oils. 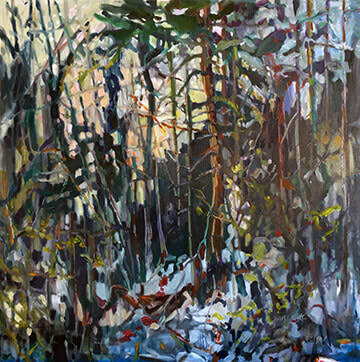 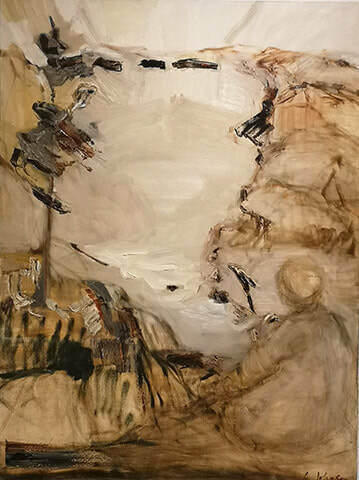 Lisa Johnson's paintings inquire into space and movement within the context of landscape painting. 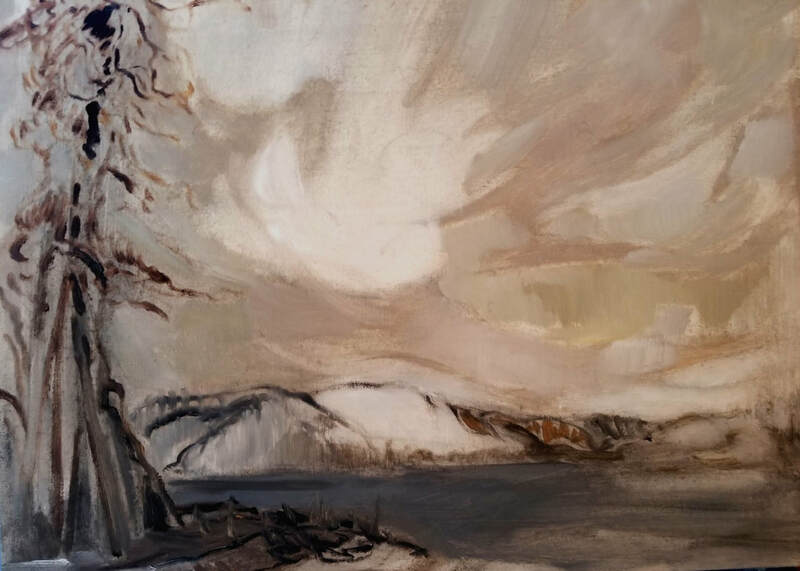 Through her ethereal and sculpted pigment Johnson depicts vast landscapes where figures seem to poetically emerge. 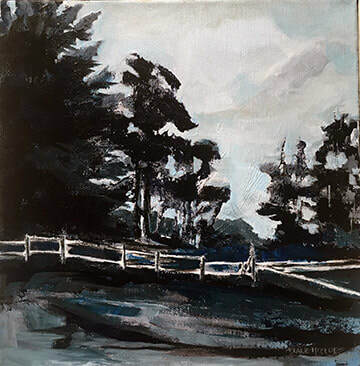 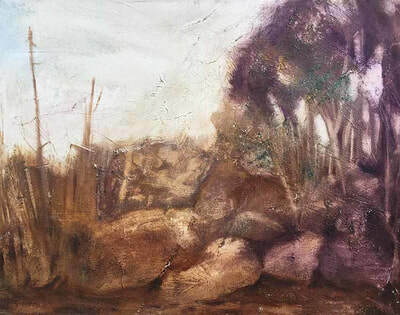 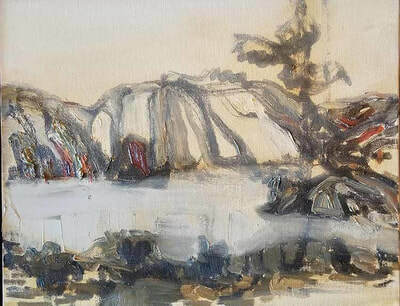 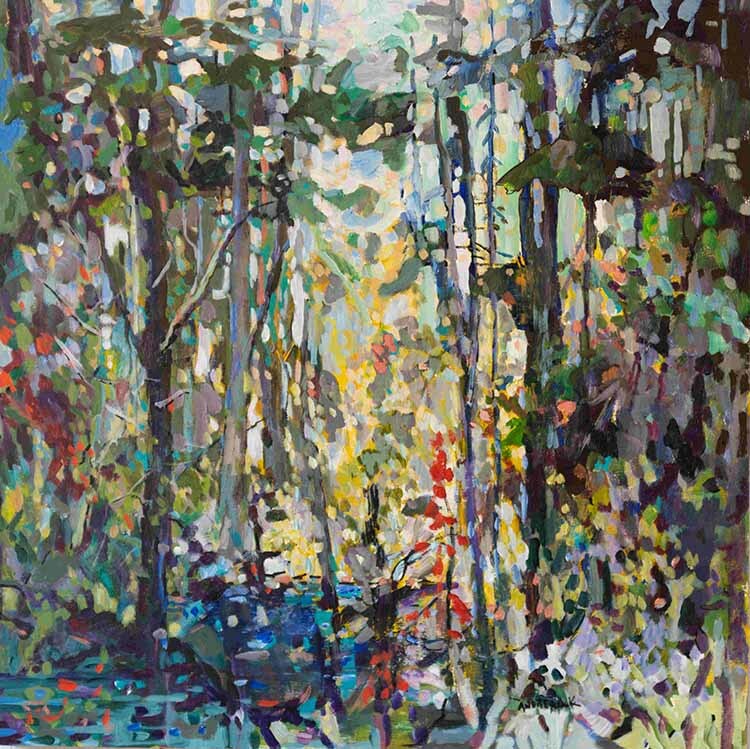 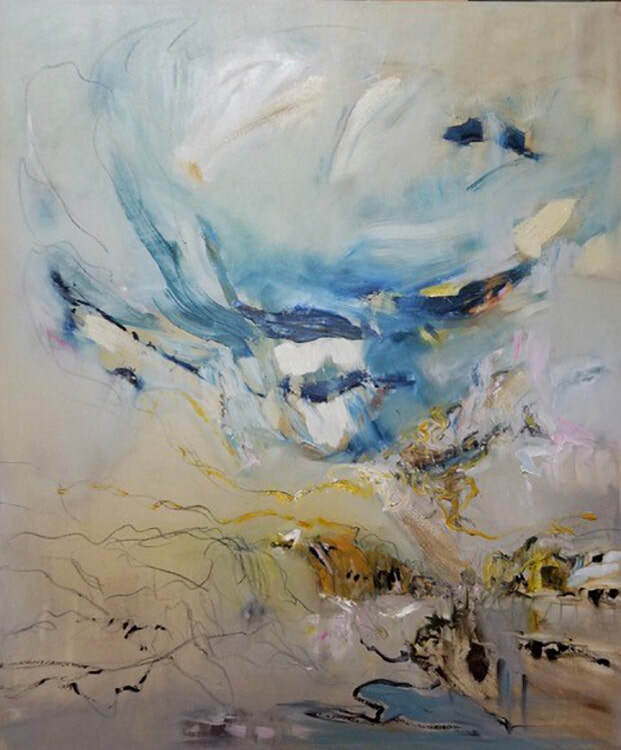 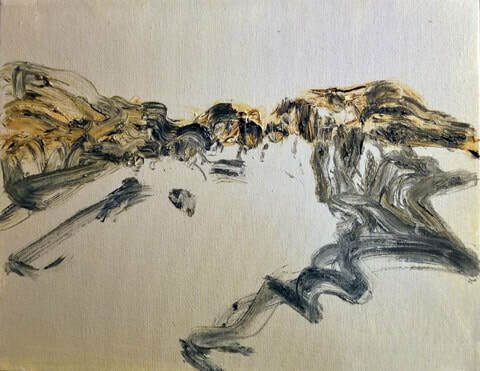 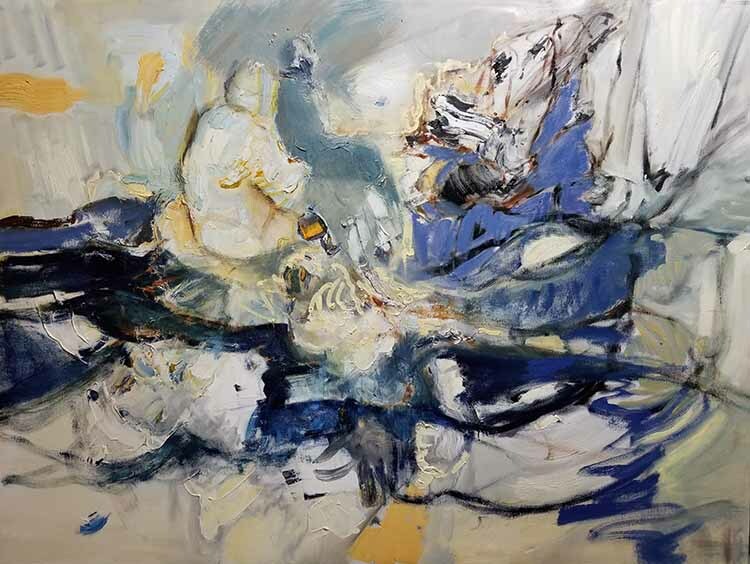 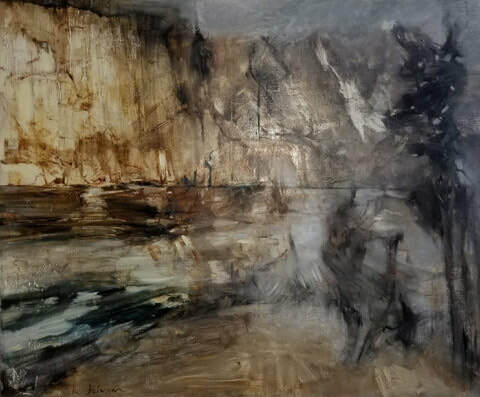 Drawing inspiration from on-location studies to develop large studio works, her paintings weave geographic, corporeal, and abstract sensibilities through layers of atmospheric grounds and gestural mark-making. From the time I was a child, I have always loved creating things with my hands, but I never took a formal art lesson until after my four children were born and my husband gave me a Christmas gift of watercolour paints and enrolment in an art class. 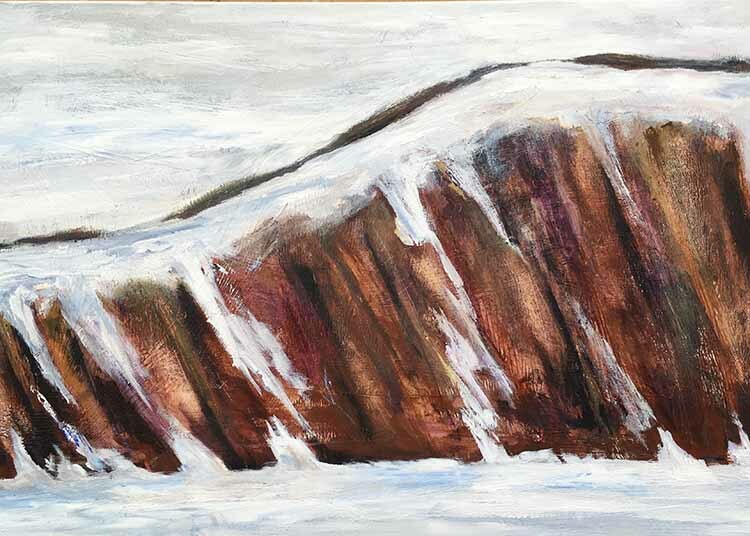 In the 20 years since then I have painted a variety of subjects in watercolour, acrylics and oils. 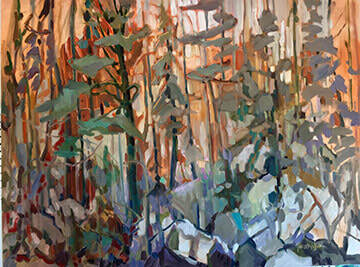 My background in landscape architecture and my love of the outdoors is evident in my work. 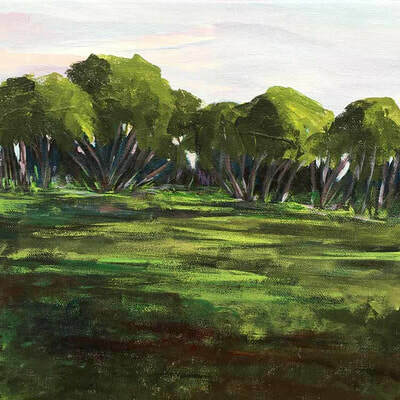 I prefer painting landscapes above all else. 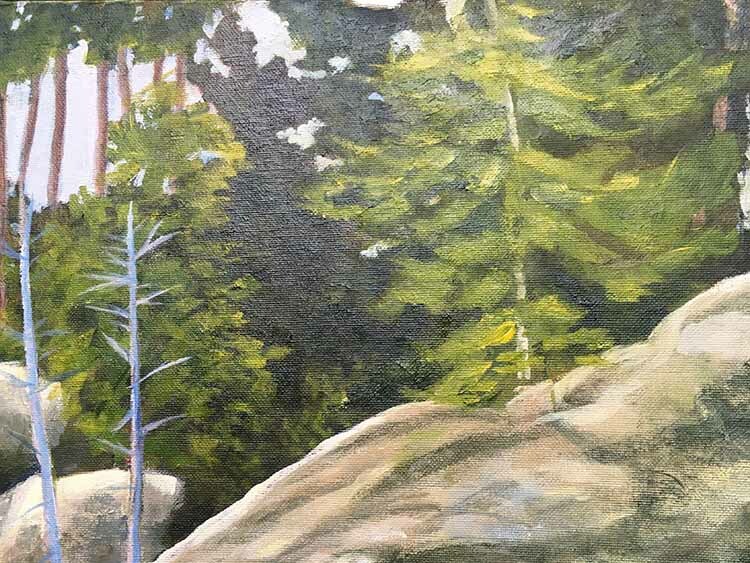 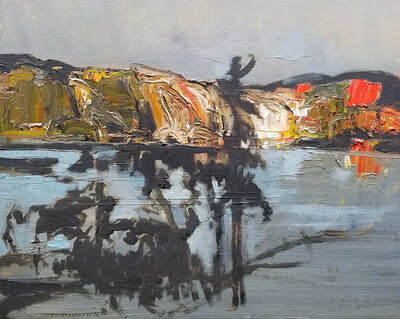 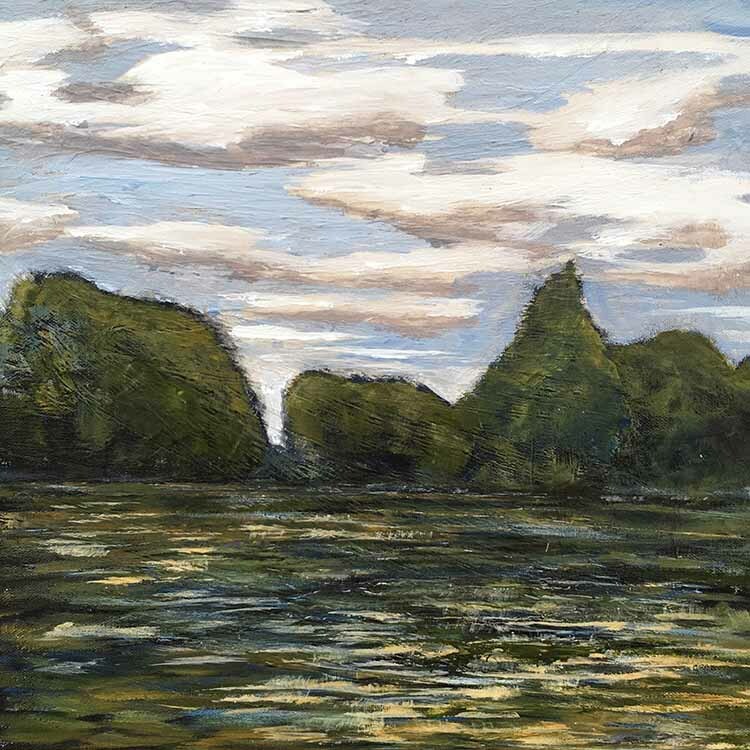 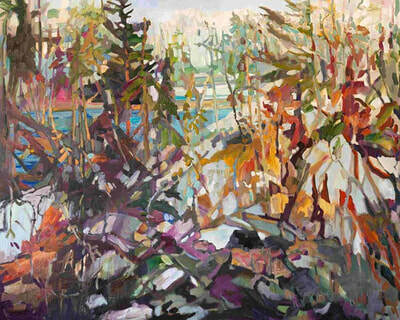 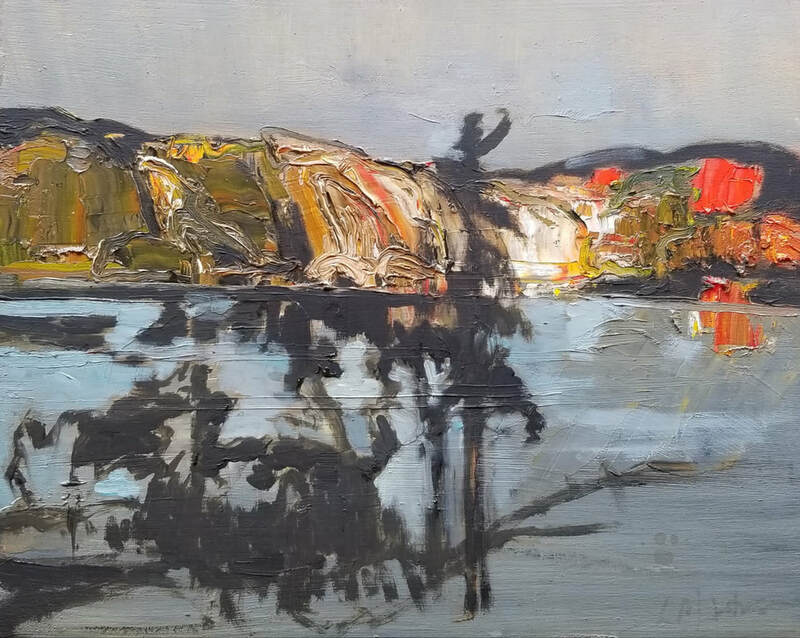 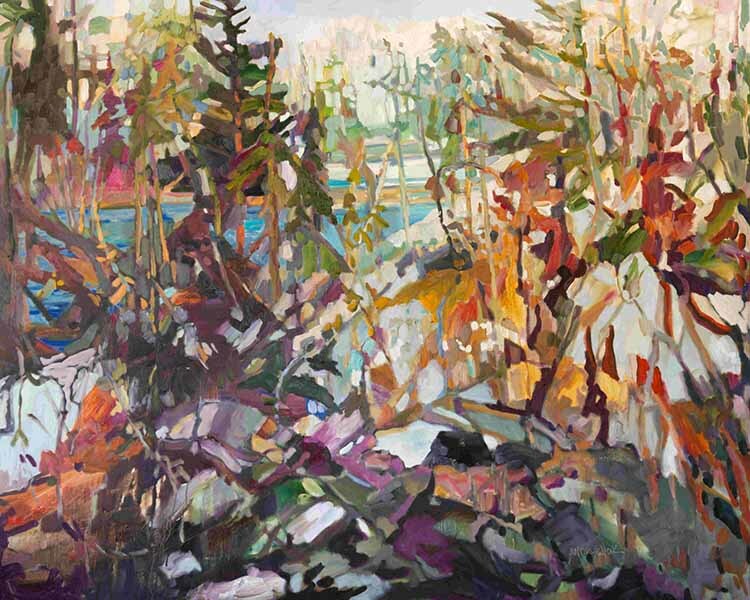 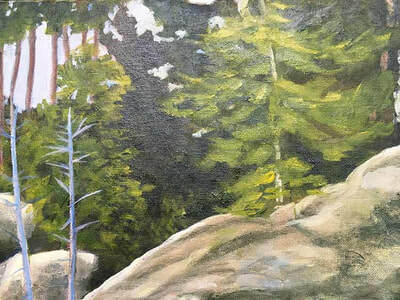 I am especially inspired by the spectacular Bon Echo rock on Lake Mazinaw in eastern Ontario and many of my paintings depict that glorious piece of the Canadian Shield.